stalactites and stalagmites, as well as prehistoric cave paintings. The cliffs mean beaches such as Ton Sai and Railay are popular with rock climbers. With nice beaches and great coral, islands like Ko Poda and Ko Thap are good places to snorkel or dive, and the waters off Krabi are home to whale sharks, turtles, and dolphins. You can trek through the jungle – on foot or by elephant – fish for marlin, indulge in some bird watching, or just chillax in hot springs, on the beach, or with a traditional Thai massage. The population of Krabi includes Buddhists, Thai-Chinese, Muslims and Moken sea-gypsies, so various colorful festivals take place throughout the year, and the cuisine is as varied as it is spicy. The night food market in Krabi Town is one of the best in the whole of the country. Great city. Perfect to just stay for one or two nights and go to the islands. We stayed at Pak Up Hostel. Amazing amazing amazing hostel to be at! If you're a sunset chaser, island hopper, food hunter, massage lover, this is the place for you! If you need something quieter than Phuket stay in Krabi... there is some nightlife however its not as crazy as Phuket. We choose Krabi because the hotel prices were cheaper than Phuket. You can island hop the phi phi island and James Bond islands. Lots of good food on the coastline as well. A wonderful destination offering a more relaxed atmosphere than many of the other beach towns. Ao Nang is particularly nice. Many resorts yet ownership seems to change regularly so seek up to date reviews. Night market is fun. Several restaurants long the waterfront offering delicious and scenic/romantic dining. Hire a boat driver and explore the various nearby islands and go snorkelling. Interview your driver to assure you are comfortable with his personality. Enjoy! 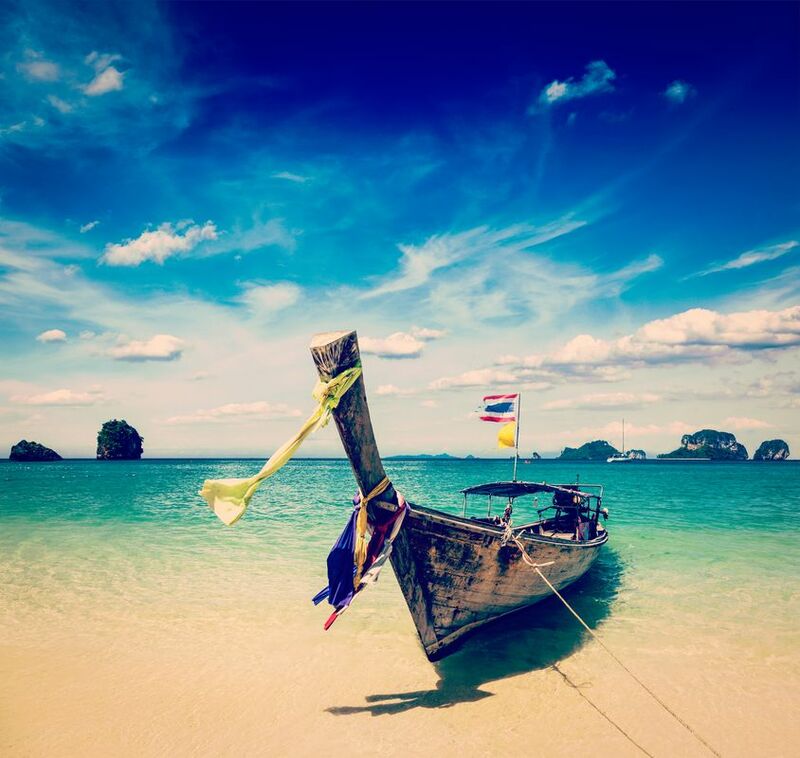 Krabi has some of the most beautiful beaches in southern Thailand, with limestone cliffs jutting out of turquoise water. You can come hear for rock climbing, kayaking, or general chilling out. It is not off the beaten track - plenty of tourists come here. But the scenery is amazing! If you are in Krabi, go to the 4 islands (island hopping) it's worth going, the speed boat ride was cool, it can get really really HOT, so sunblock is a good idea. There are a lot of Islands, most people so the Tup Island, Chicken Island( as shown in the picture) cause the tip of the hill looks like a shape of a chicken head. Poda Island & Phranang Cave. Price is about 1,000 - 1,200 Bht per person includes lunch. loved the cleanliness and white sand beach. island hopped around with getting our own rented boat. my friend that been to phuket says this is comparable except that it doesnt have much night life. with the few bars, the crowds dont get wild, which is good if you want to have fun but relax as well.